The Green Girl is proud to announce she is a member of Superhero Events' Team Superhero. I channeled my inner superhero back in April and applied to be a Superhero Ambassador. A couple of weeks later, I discovered I had been selected by the Superhero Events Super Crew. I also received an official Team Superhero singlet. I am looking forward to representing Superhero Events and Team Superhero. 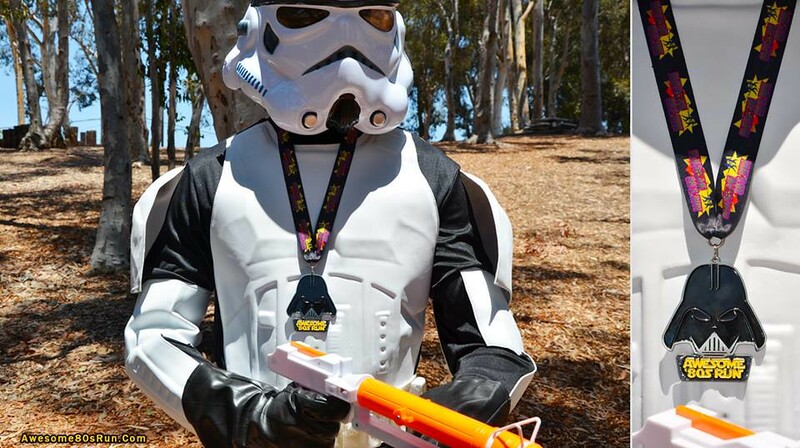 I am going to wear a costume for the first time at the Costume Party Run in July. All Costume Party Run Half Marathon finishers will receive a cool 6" 45 record medal with a real disco ball in the center. 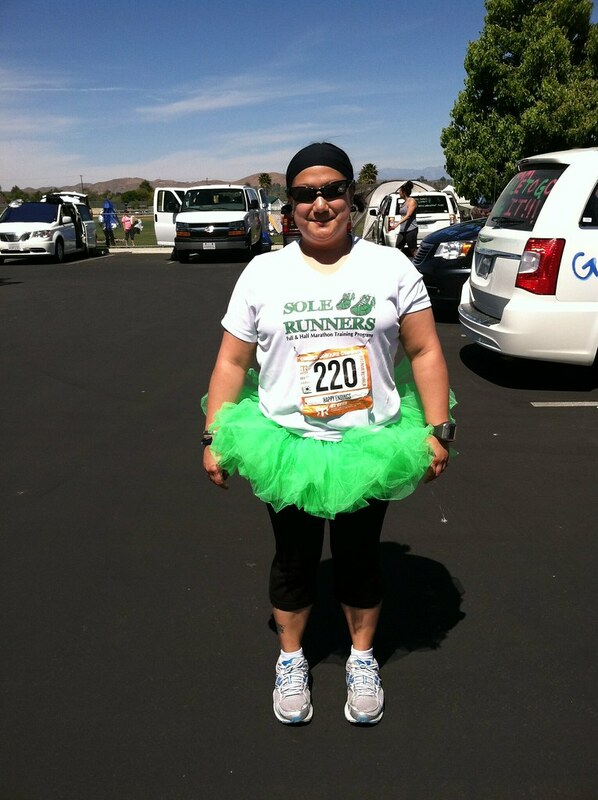 The Green Girl participated in the Running for Angels Virtual 5k on Sunday, April 21, 2013. A virtual race is a sporting event where everyone sets their own course and runs or walks their own race wherever they happen to be on the planet. You sign up online and run your race on the scheduled date. If you cannot run on that day, you may run it on a day that works for you. 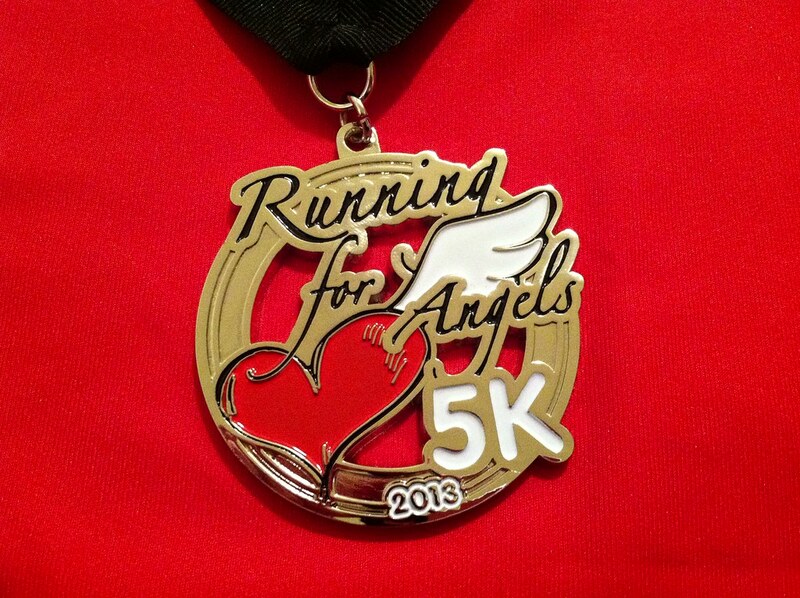 After completing my virtual 5k in Hermosa Beach, I received a Running for Angels 5k Virtual Race medal and technical race shirt in the mail from the race director, Timothy Misiak. 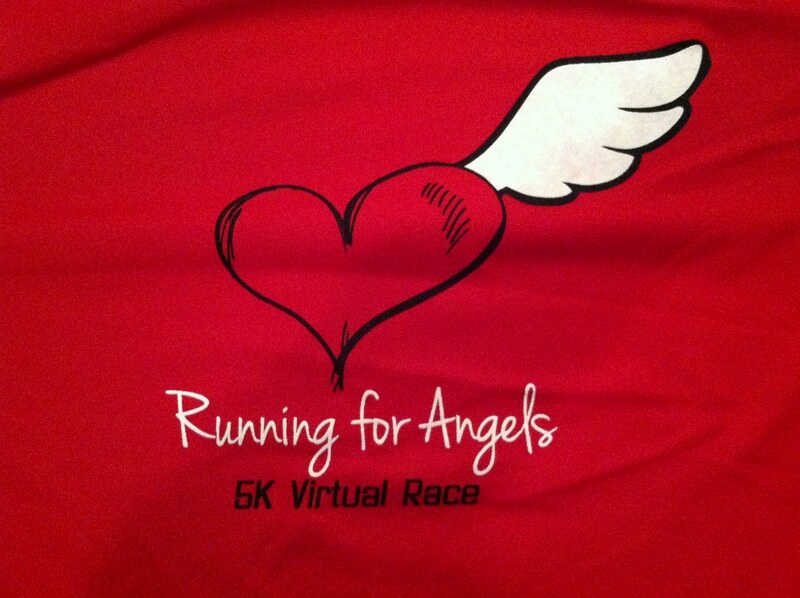 I love how virtual races allow runners in disparate geographic locations to come together for a common cause. 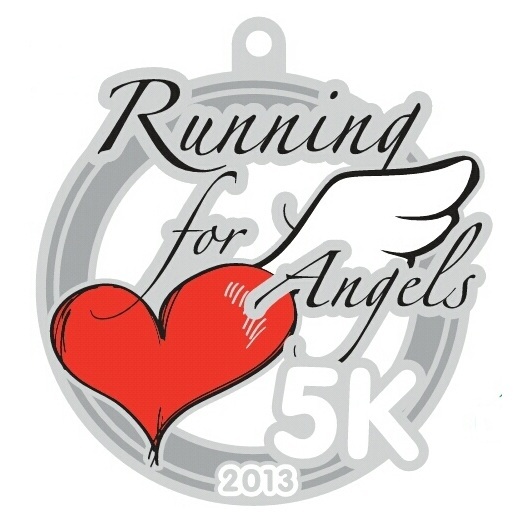 I am looking forward to participating in future Running for Angels Virtual events. 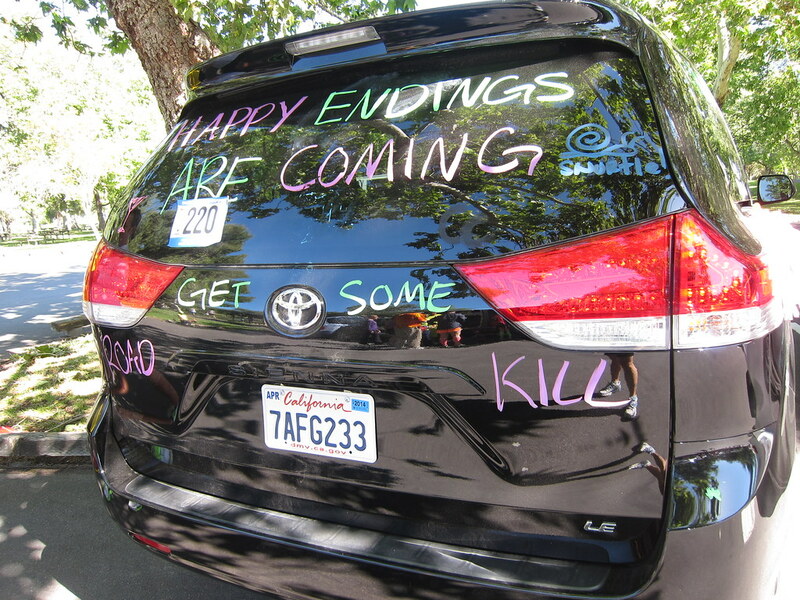 The Green Girl participated in her second Ragnar So Cal with team 'Happy Endings'. 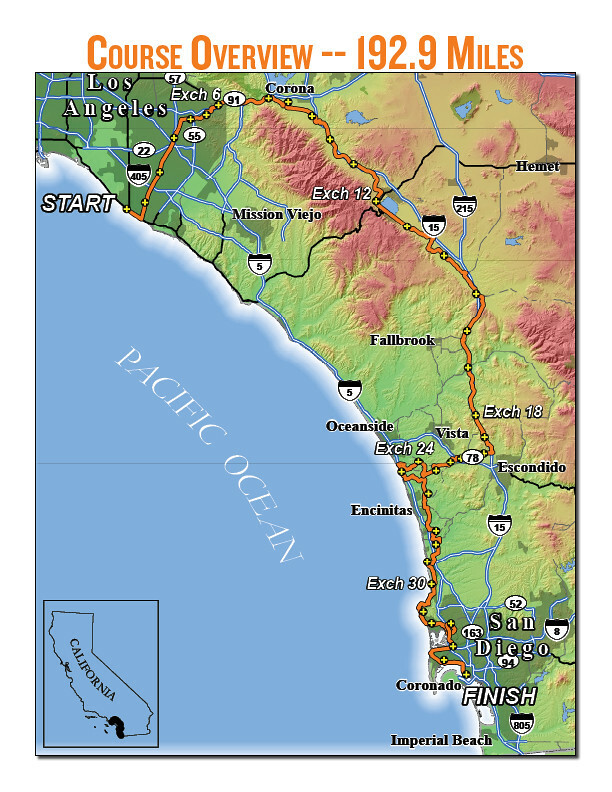 The 193 mile Ragnar So Cal course was divided into 36 legs of varying difficulty and distances between 3-11 miles, with designed exchange points. The teams consisted of 6-12 individuals split evenly into two vans. All the race costs were shared evenly among the 12 Happy Endings runners. The total out-of-pocket for each teammate was $255. This covered the $1,560 team registration, both van rentals (including post-race car washes), gas money, and a food/beverage fund. 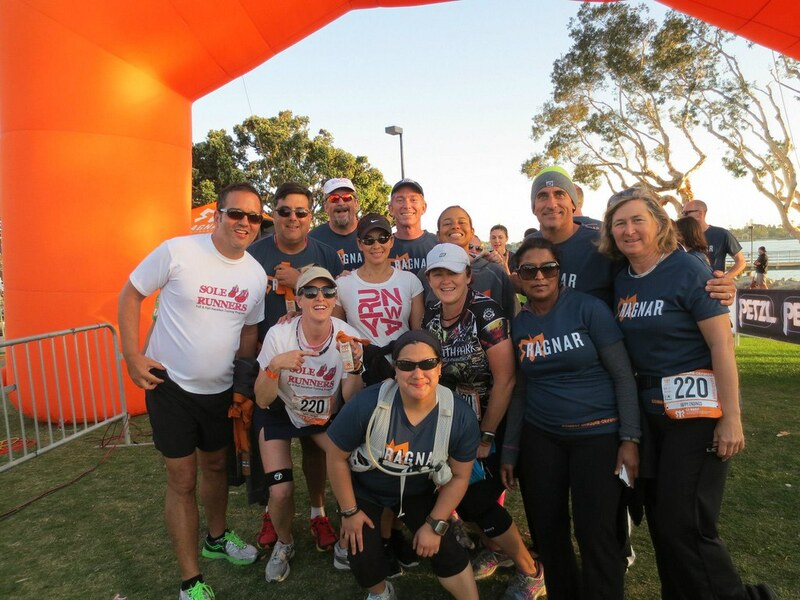 Prior to the relay, each team plugged their respective 10k paces into a Ragnar calculator and the results determined the start and estimated finish time. Happy Endings's official pace was a 10:51 minute mile (all teams must average an 11:00 minute mile or less). We were assigned a 5:00 am race start and our estimated finish was 7:30 pm the following evening. 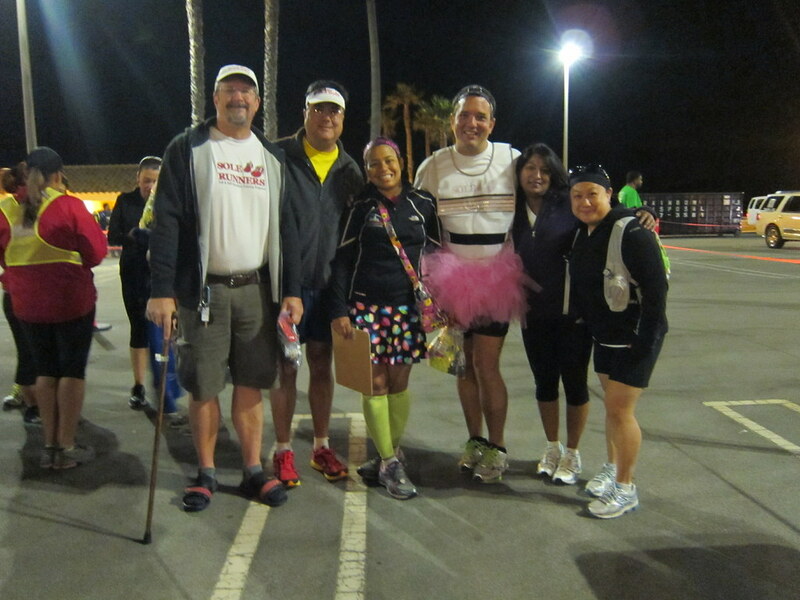 Team Happy Endings arrived at the Ragnar So Cal Starting Line in Huntington Beach at 4:00 am for the requisite safety check with our respective headlamps, reflective vests, and flashing lights. After the team safety inspection and briefing, we received our bibs, van magnet, copy of the official Ragmag which contained runner and van route information, and a pair of reflective flags for street crossing. Just before 5:00 am, our first runner, Babak, lined up at the first wave Start. We all cheered Babak on and then headed back to the van to drive to the first exchange. Our strategy was to text the group when we had a mile to go so the next runner would be prepared for the hand-off. Runners 1 through 3 completed their legs and before I knew it, it was time for me to run. 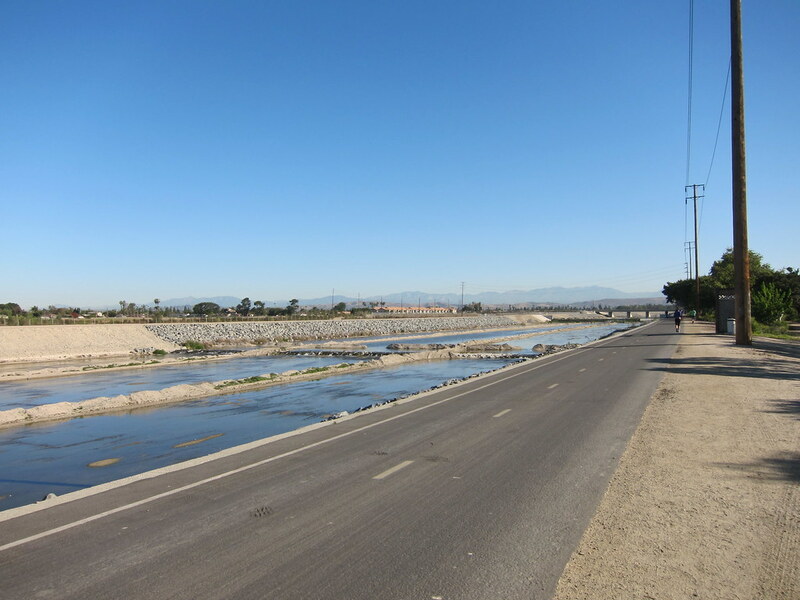 Leg 4 took me along the Santa Ana River Trail. 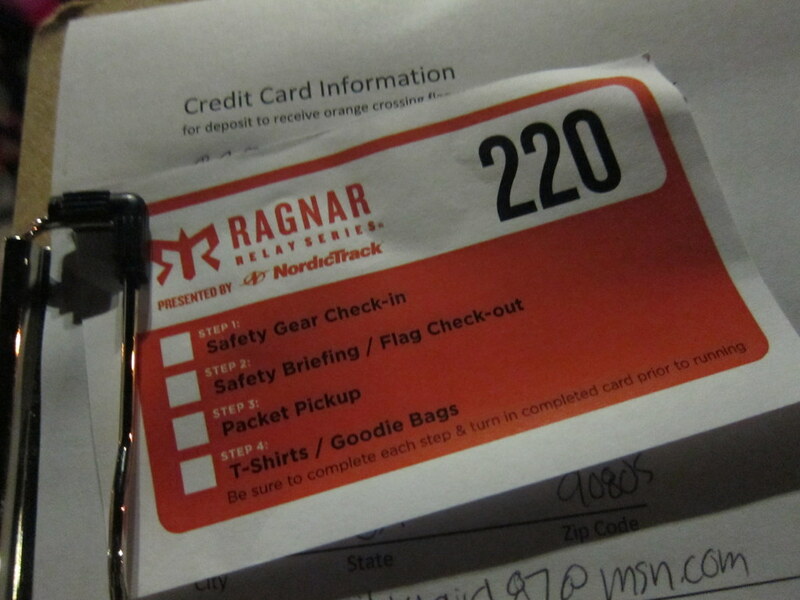 Tallying up roadkills on the side of the team van are a Ragnar tradition and each hash indicates a runner you passed. After a total of zero roadkills last year, I was determined to make at least one. I stayed off the pavement and ran on the dirt shoulder. 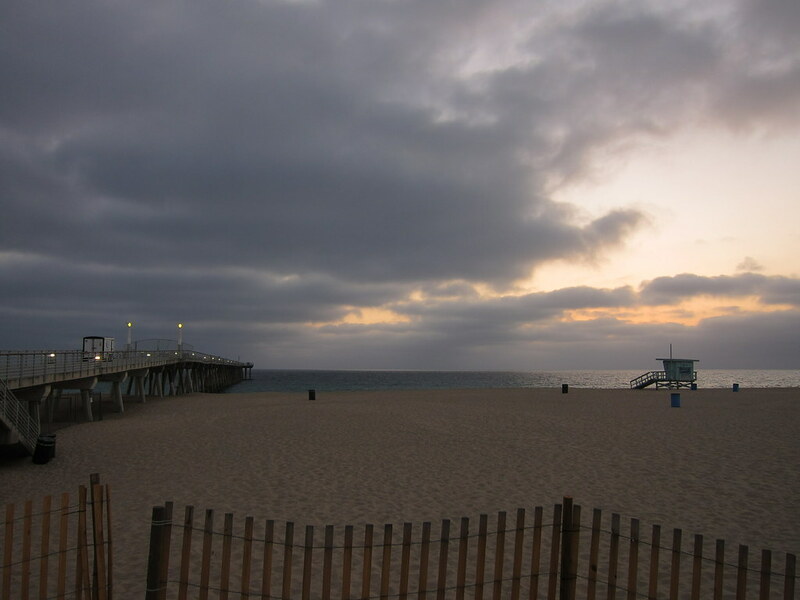 Unfortunately, my legs were heavy and I struggled to run. I managed to make my first roadkill when I slowly shuffled past a girl who had slowed down to text. Hey, a roadkill is a roadkill, right? Exchange 6 was the first major exchange where Van 1 handed off to Van 2. 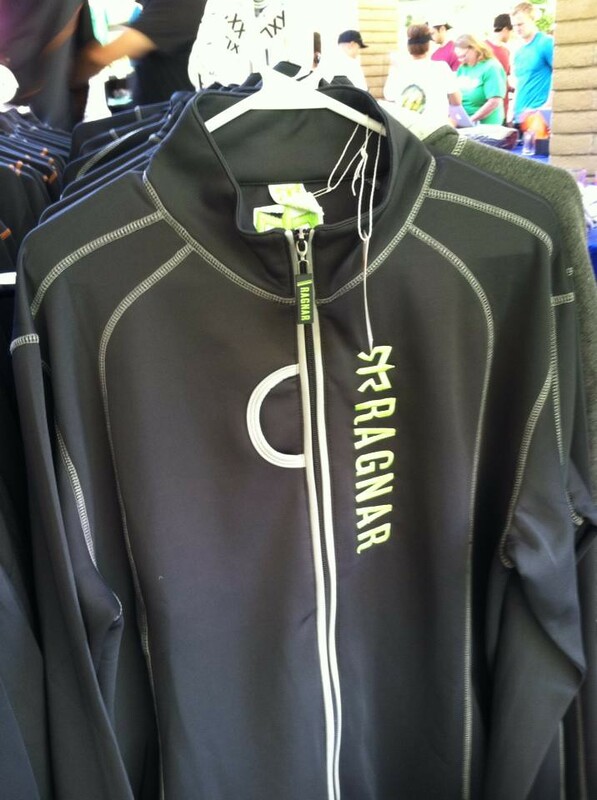 I stopped at the makeshift Ragnar store and purchased a green jacket before our van headed off to get some lunch. I was looking forward to my second leg because I love running at night. Leg 16 followed city streets, weaved through a residential neighborhood, and then led us runners through the Fallbrook Golf course sprinkler system. In the darkness, it was difficult to dodge the spraying water so I just focused on my footing. At one point, the course went off onto the grass but I got confused and continued to follow the path. When I spotted blinking lights in the distance up on what appeared to be a mountain, I turned around and darted across the damp lawn. Instead of a dirt trail, the ground was loose like sand. As I ran uphill, my feet sunk slightly with each step. 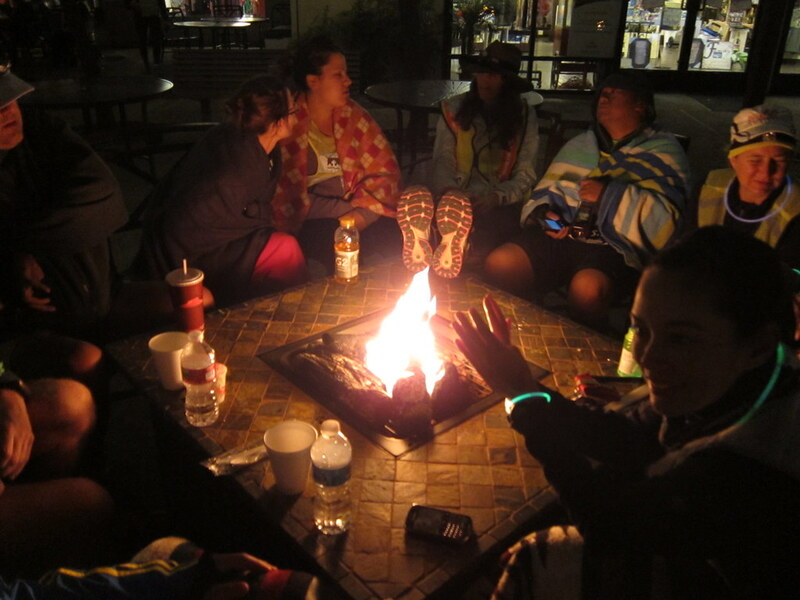 Team Happy Endings had completed our share of the night legs when we did the hand-off at Exchange 18 at Welk Resorts & Spa in Escondido, just south of San Diego. 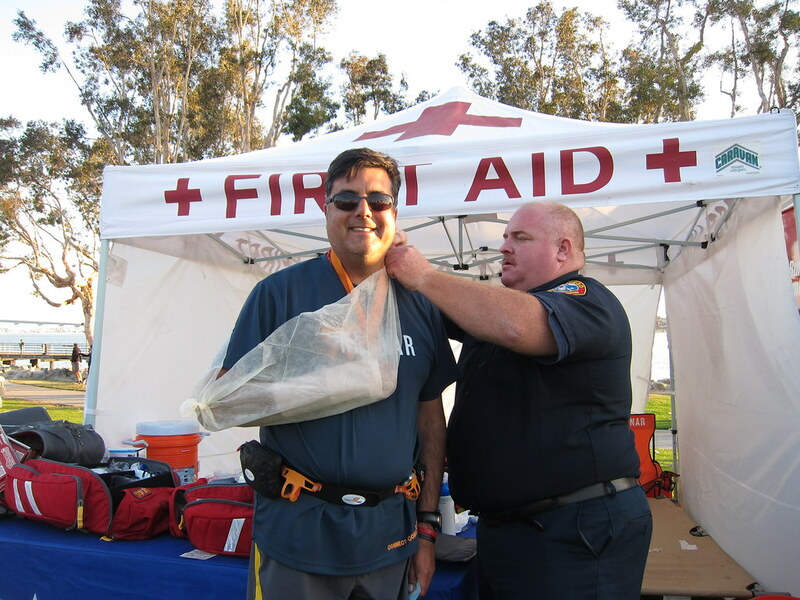 Unfortunately, our 3rd runner, John, had fallen on his night run and his right wrist was hurting him. Like a trooper, John completed his final leg. A visit to the doctor the next day would reveal he'd fractured his wrist. Our van had gotten about 2 hours of shut eye in the Welk Resorts parking lot when Van 1 called us to let us know their last runner had taken off and we needed to head to the next major exchange. In a daze, we somehow managed to navigate to Exchange 24 and Babak headed out for his final leg. Leg 28 was my final run. It was sunny and warm by this time. 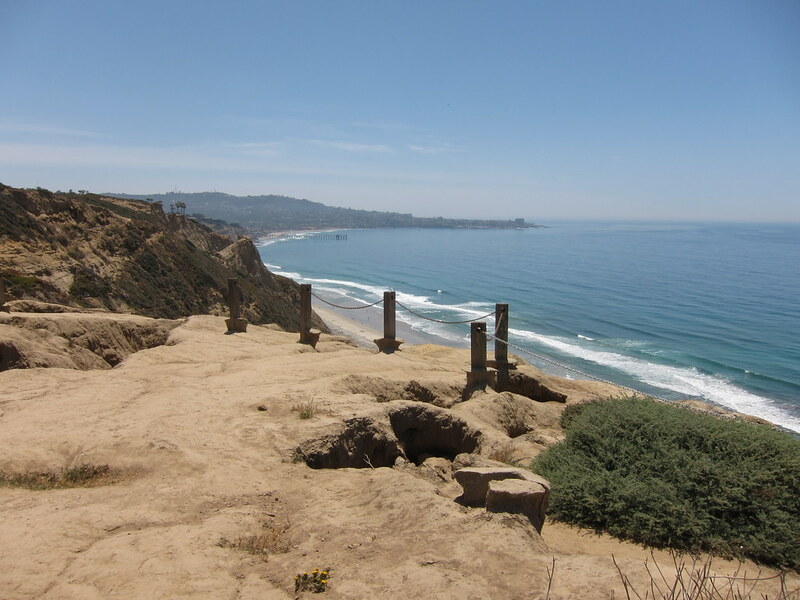 The route was mostly uphill so I instinctively leaned into the incline and jogged at an even pace. Our van exhaled a collective sigh of relief when we reached Exchange 30 and we handed off to Van 2 for the last time. 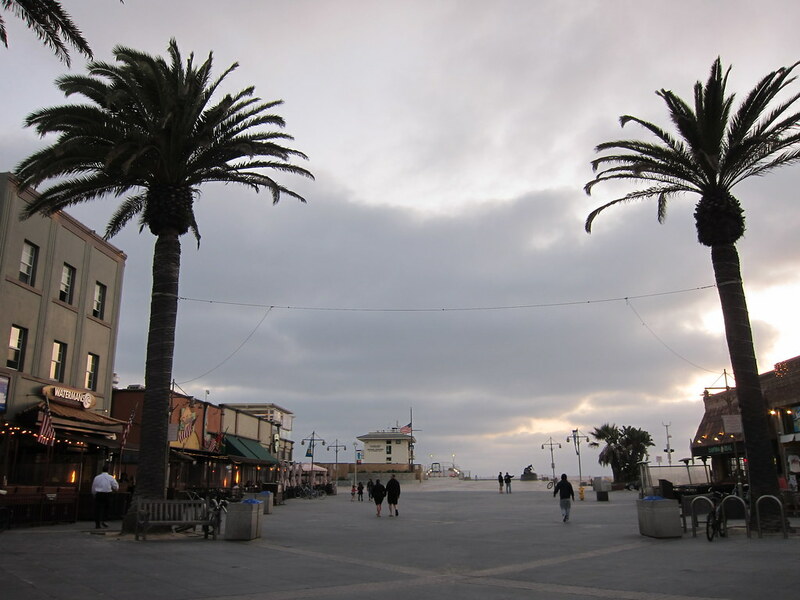 We stopped at the nearby Gaslamp District for some lunch before we headed to the Finish Line at the Embarcadero Marina Park South. After my last team, 12 peas in a pod, placed 3rd from last the year before, I'm pleased to report Team Happy Endings finished 366th out of 646 teams. I want to thank all of my fellow Happy Endings teammates for another successful Ragnar Relay!